"Performance" shows the band's musical style turning more radio-friendly. Less progressive, the compositions are now more direct, upbeat and keyboards-dominated. The sound is also more plastic and synthetic, whereas the quality and inspiration have decreased. After the ambitious "Planets" and the effective "Time to Turn", the first listen may be a bit surprising. The change is perceptible from the opening track, "In Disguise". In fact, once the shock is gone, this is a rather correct punchy song. "Shadow And Light" is also a nice hard space rock moment with its incisive riff and variations. In contrast, "Mirador" is a quite useless and repetitive instrumental. "Surrender" is the weakest track of the record, out of place and cheesy. The enjoyable "Heartbeat" features a cool bass line and introduces the usage of the vocoder, which is on par with the synthetic musical style. 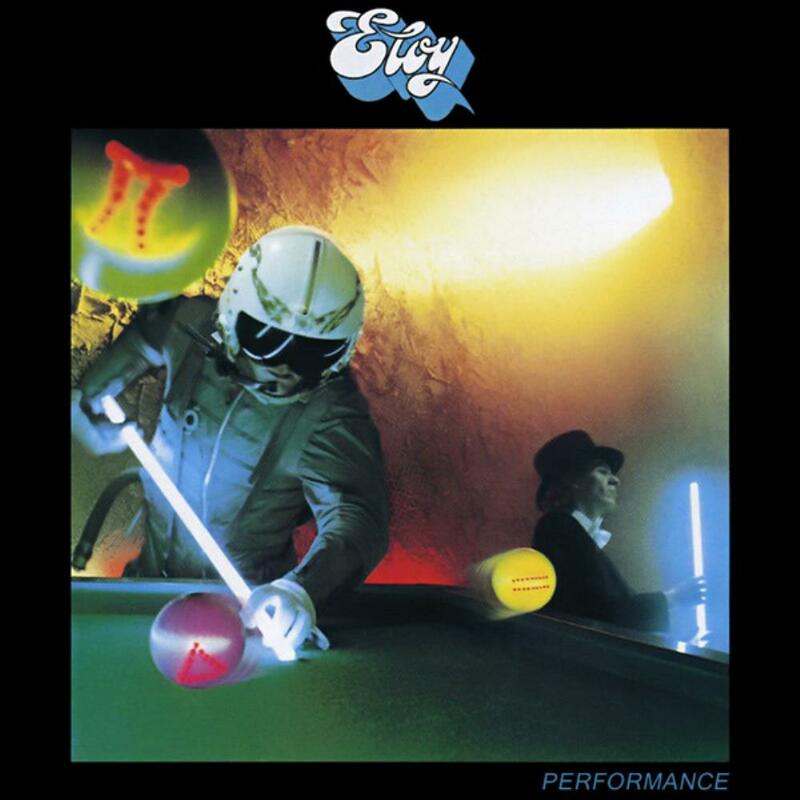 "Fools" is the best track of the record, a catchy rocking ELOY moment with a good guitar solo. The ending song, the 8 minutes "A Broken Frame", is also the longest. Unfortunately, this composition is rather average and does not really justify its length.